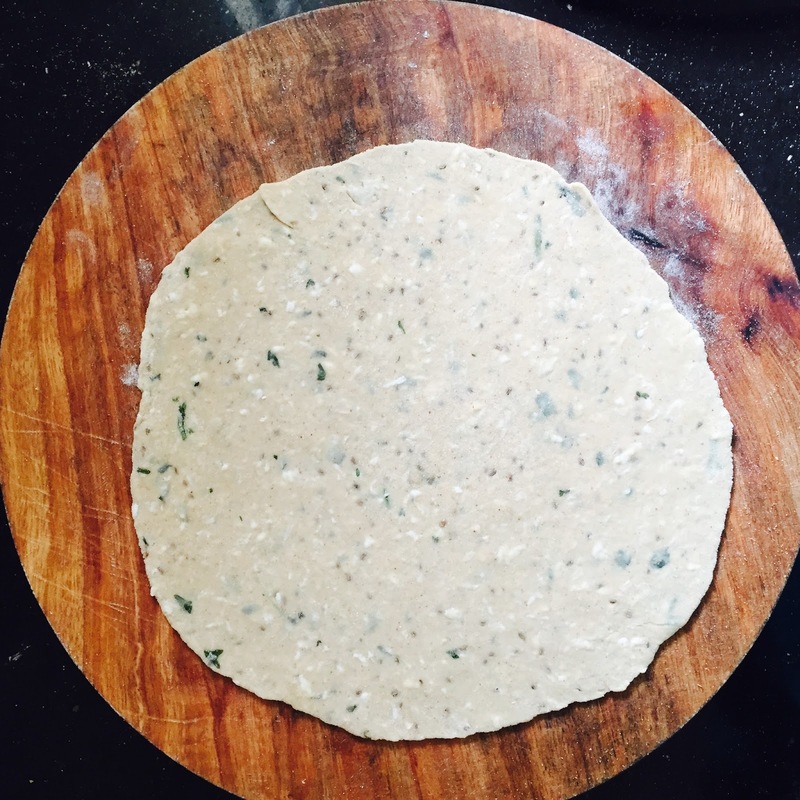 Mooli parantha recipe with step by step photos. How to make mooli parantha. 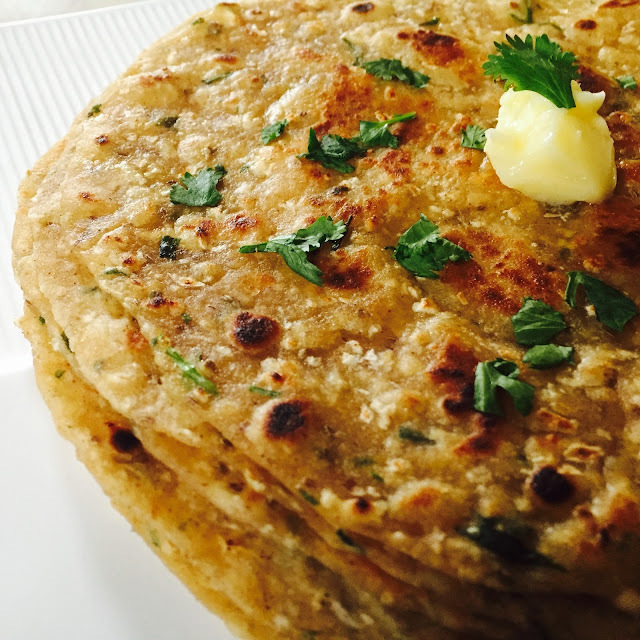 Mooli(radish) parantha is one of the most common breakfast during winters. It can be prepared quickly. The only effort here is to grate the radish. 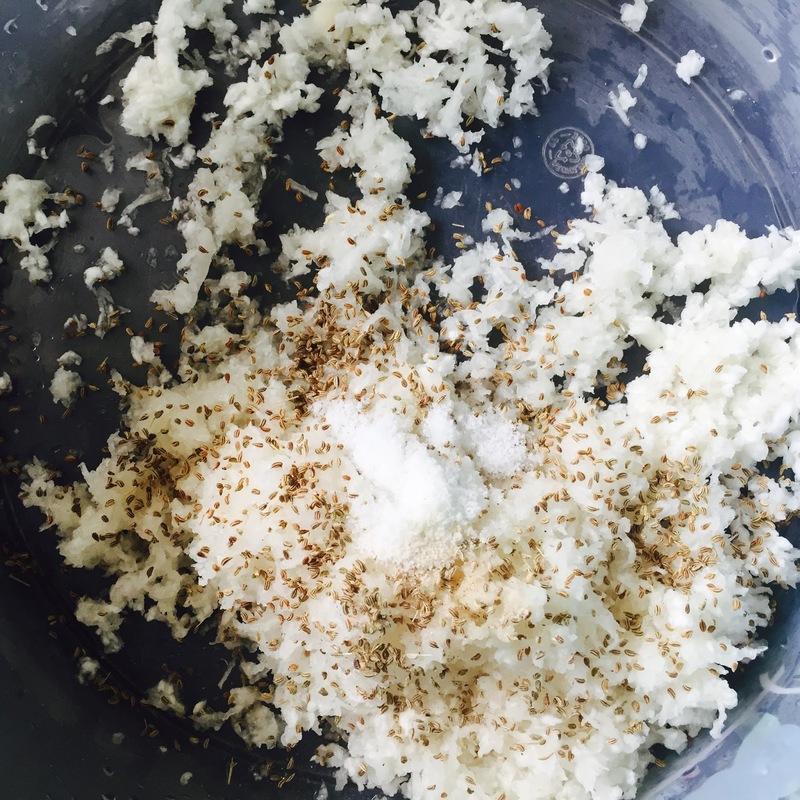 Radish is grated then seasoned with carom seeds (Ajwain) and salt. The dough is prepared using this radish and atta. Then the paranthas are rolled and roasted with butter or ghee or just refined oil. This tasty parantha is served with beaten curd or tomato chutney. You can have it with any chutney or even ketchup. Add salt, ajwain and coriander leaves. Keep it aside for 10-15 minutes. Add atta and prepare a dough. Don't add all the atta at once. Keep on adding and mixing atta. Don't use additional water for preparing the dough. Grease it with a little oil and punch it a little more. 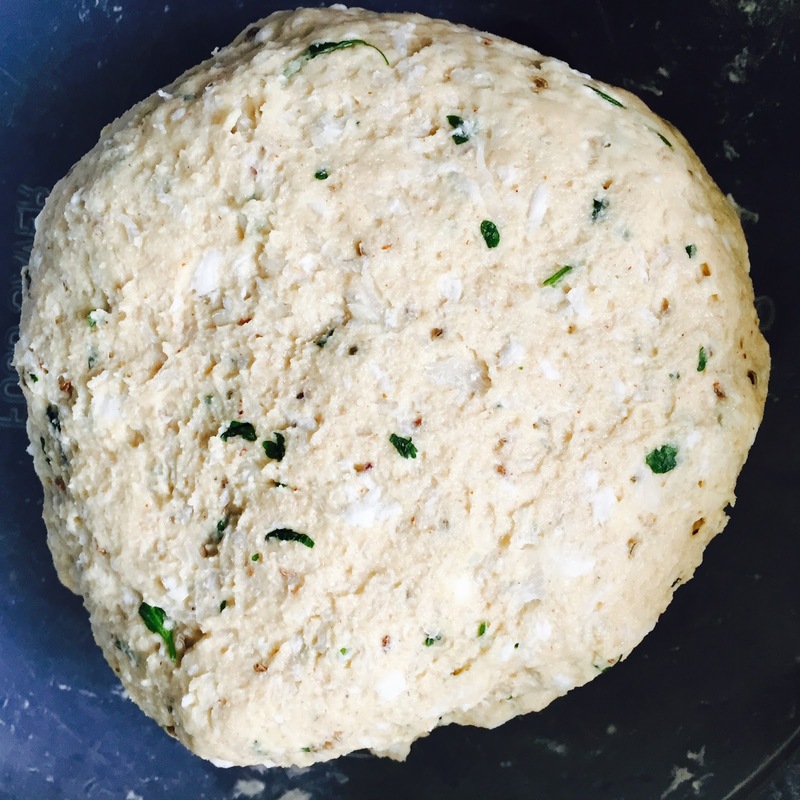 Take a section of the dough. Roll it with help of a rolling pin. Use atta for dusting. Put it on a hot pan. Flip it when bubbles start appearing on one side. Brush some oil on this side. Flip it again. Apply oil on the other side as well. Flip it again. Parantha is ready. Serve it hot with your favourite chutney or curd or just ketchup! 1. Grate Mooli. Add salt and ajwain. 2. 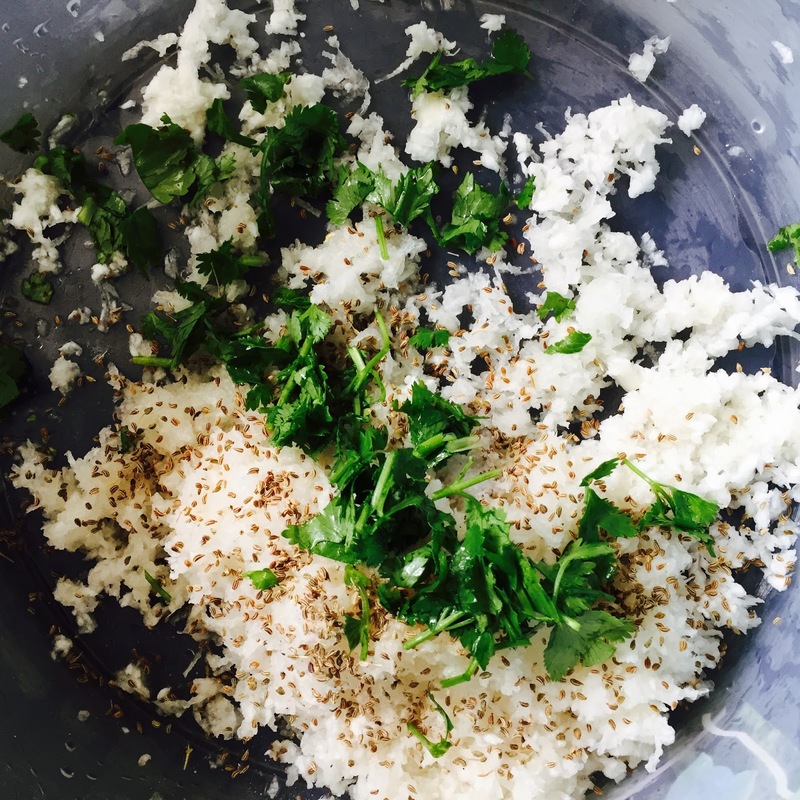 Add coriander leaves as well. Mix everything well. 3. Time to add atta. Don't add all the atta at once. Add some atta. Mix it. 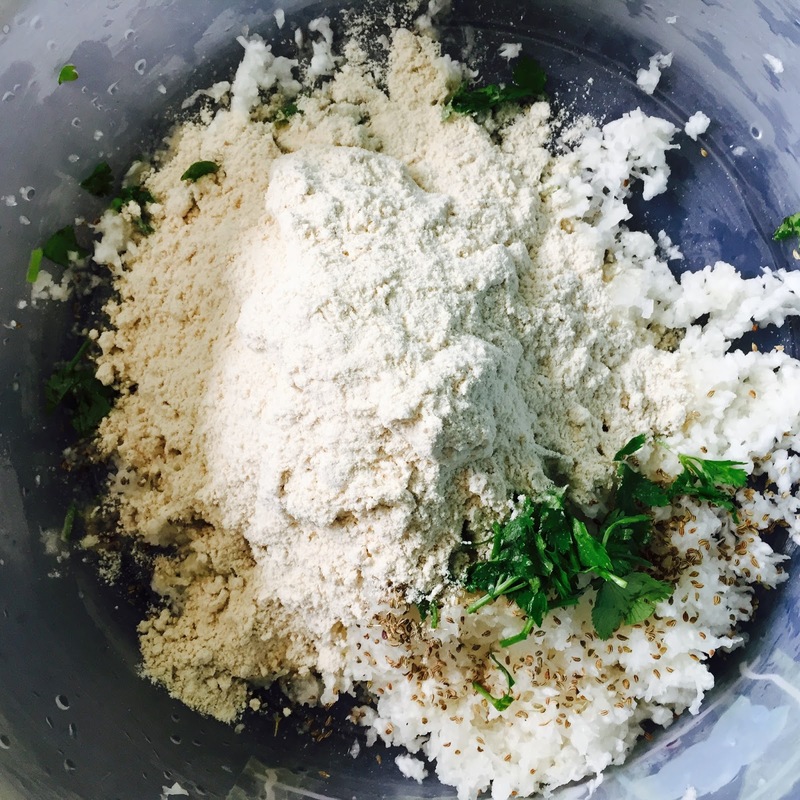 If you need more atta to prepare the dough then add it. Make sure that you don't need water to prepare the dough. 4. The dough is almost ready. 5. 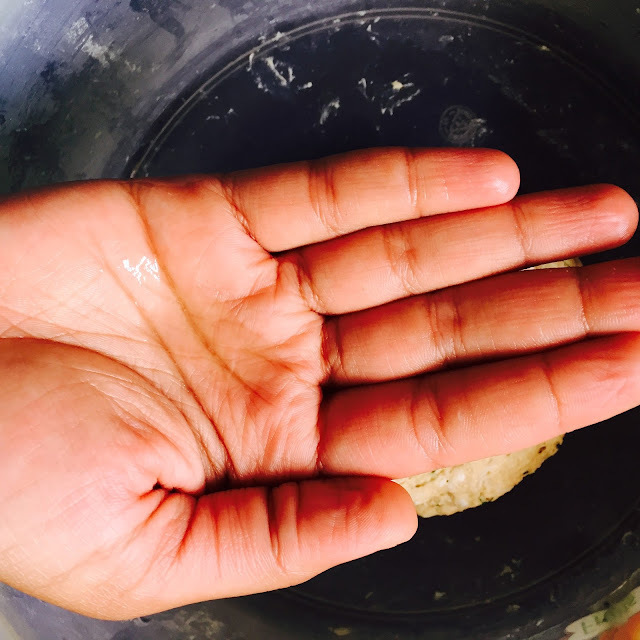 Grease your palm with some oil. Apply it to your dough. Punch it a little more. That's it! 6. Time to roll paranthas now. Take a small section of the dough. 7. Roll it with rolling pin. Use atta for dusting. 8. Put it in a hot pan. Flip it when bubbles start appearing on one side. 9. Brush some oil on this side. Flip it again. Apply oil on the other side as well. Flip it again. 10. Parantha is ready. Serve it hot with your favourite chutney or curd or just ketchup!